Guest Blogger Recipe: Kentberry Says! This recipe is a special one! 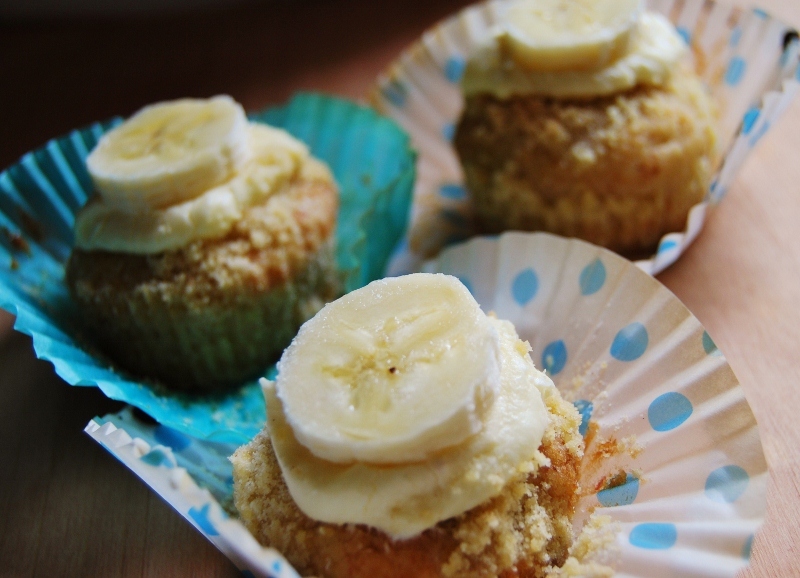 Sinéad, of Kentberry Says, has stopped by to share a yummy recipe for heavenly Banana Cupcakes! I actually have a banana allergy to contend with, but I couldn’t let that stand in the way of sharing this delicious cupcake recipe with you! 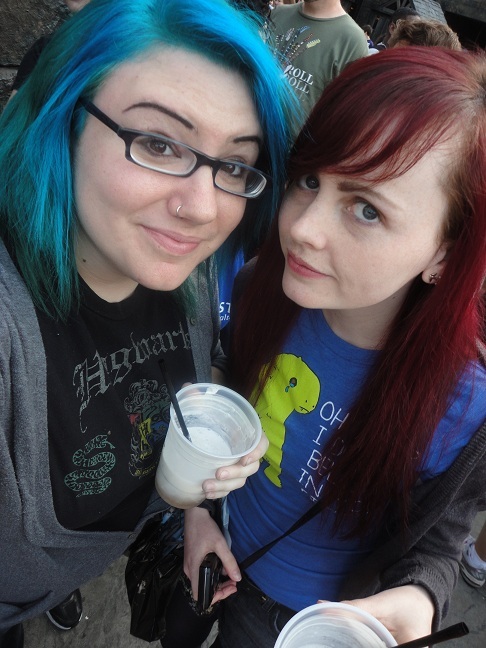 Sinéad and I have been longtime long distance friends over the internet through various online journaling communities, and in March of 2011 I was lucky enough to be living in one of her stops during her trip through the US — Florida! She’s actually part of the reason I started blogging to begin with — She has a personal blog as well, Painting Lies, featuring samples of her fantastic writing (she’s a published author! 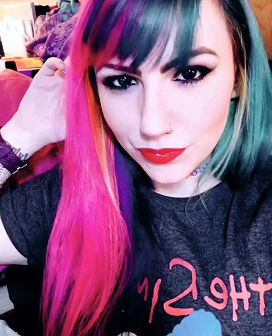 ), as well as wonderful photos of her life, complete with two fluffy bunnies and lots of beautiful travel photos from gorgeous European cities and places! I started my first blog, Coffee & Chopsticks, during her visit and her recipes were regularly featured on the blog back when it was more food-centric sort of place. Now that I’ve adapted it into more of a lifestyle-type blog, it’s nice to get a visit from my beginnings and have Sinéad here sharing her kitchen talents once more! Hello everyone! My name is Sinéad, one of the terrible twosome behind veggie-centric food blog Kentberry Says, and I wanted to tell you a little bit about us and what we do there. Cassie has very kindly allowed me to submit this guest blog to her site, and hopefully I can do a good job! I’ve known Cassie via the internet for many years (we use to rate photographs of each other’s faces out of ten), and had the pleasure of staying with her last year as I travelled solo across the US. We hope to be reunited soon! Naomi Berry (left) and Sinéad Kent, bloggers at Kentberry Says! So, then – what’s this Kentberry business all about? Kentberry Says, to put it simply, is a food journey undertaken by two friends from the West Midlands in England. I met Naomi at a bookshop (where I continue to work part-time, though she’s since moved onto brighter things), and we bonded over our shared loved for animals and bad 90’s pop music, whilst providing the masses with literature. We’ve remained good friends ever since, and this food blog venture is another way for us to stay in touch, embarking on brave adventures and mad experiments, all in the name of good food. You won’t find any meat or fast food on our website, but I promise that you won’t miss it! After nine years of vegetarianism (which I loved), I decided to adopt a vegan diet last year. It’s a move I’d been planning for a while, for both health and personal reasons, and it’s opened my eyes to so many new foods and experiences. I live alone and have taught myself to cook, investing in recipe books and seeking out fantastic blogs online for inspiration and support as I found my feet. I wanted to start a blog that could be used to keep track of my trials and near misses, working out what worked for me as a new vegan – Naomi, a long-time vegetarian with frequent vegan tendencies, seemed like the perfect partner to ask along for the ride. Our website (the name is a simple amalgamation of our surnames, Kent and Berry!) is a slapdash collection of recipes – many of which are gluten-free as well as vegan – daily snaps, ideas and local reviews, that we hope will continue to grow over the coming years. We use our Tumblr, Twitter, Facebook and Flickr pages to spread the veggie love, and though the Kentberry Says experience is still relatively new, all of the friendly comments and feedback we’ve received so far suggests we’re on the right track. banana slices or sweet dried banana chips – just go bananas. Yeah, you saw that one coming. with a dozen cupcake cases. 2. Cream the butter and caster sugar until light and fluffy. Sift in the flour and add the vanilla essence, then stir well. lumps. Add to the mixture and stir until well-combined. fine crumbs, then stir in a pinch of cinnamon. ready carefully remove from the oven and leave to cool. fresh banana or a few chips on top of each one, and serve. Yum! Like Kentberry Says on Facebook! Follow Kentberry Says on Twitter! Follow Kentberry Says on Tumblr! ← I’m obsessed with granny squares.